The view from the overlook in Connestee Falls makes their affordable homes that much nicer. Known for its picturesque mountain views, vibrant art scene, and popular craft breweries, the small city of Asheville, North Carolina is one of the most visited cities in the Tar Heel State. It’s also a great place to retire for active adults who love to be outdoors. There’s always something to do in the area with absolutely no shortage of hiking and biking trails, scenic landmarks, and mountains to explore. There’s also a variety of shopping and dining options, an airport, several medical facilities, and other cultural amenities, including a number of museums, theaters, and galleries. But, just because the city has a lot to offer doesn’t mean housing prices for 55+ communities have to be outrageous — here are the three best low-priced active lifestyle communities in the greater Asheville area. This established, gated-community was built in 1972 and is located in the quaint town of Brevard, which is just a short drive from Downtown Asheville. The development is made up of a combination of single-family and attached homes that are available as new construction or resale with prices starting in the low $100s. 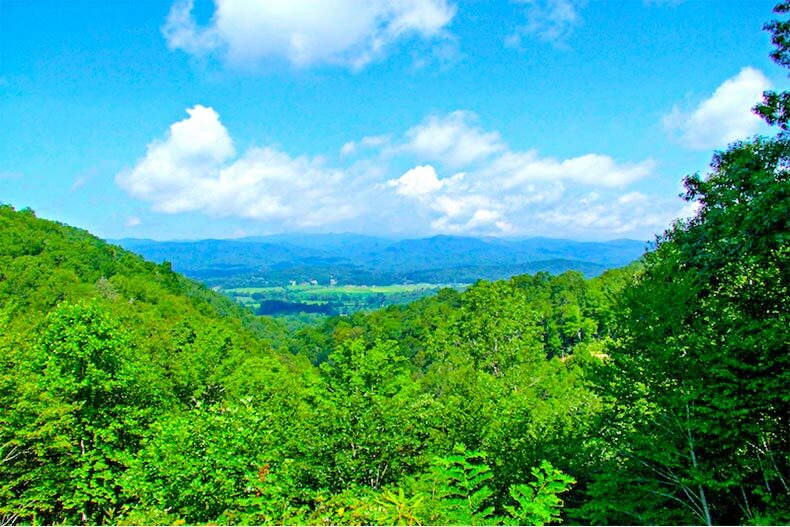 While Connestee Falls is a rather large community with over 1,300 homes, its scenic mountain setting still offers residents a quiet and peaceful place to live. The development has a wide variety of floor plans and designs. Plans for single-family homes range in size from 1,300 to more than 5,000 square feet and can have up to five bedrooms, four bathrooms, and an attached three-car garage. Attached homes are also spacious with options ranging from 1,200 square feet to 3,000 square feet of living space. These layouts can have up to four bedrooms, three bathrooms, and three-car garages. Connestee Falls also features a long list of resort-style amenities, including a 26,000 square-foot clubhouse, fitness center, library, theater, on-site sports grill, and lounge. The list of outdoor amenities is just as vast with a heated swimming pool and expansive patio, an 18-hole golf course, a community garden, a dog park, and 13 miles of walking and biking trails that provide an easy way for residents to get in their daily cardio while also taking in the beauty of the surrounding area. Cummings Cove is another affordable gated-community in the Asheville area that’s located in the nearby small town of Hendersonville. The complex features 600 homes and is split into four neighborhoods that have both new and resale homes available for purchase. Prices in Cummings Cove start in the high $100s and there’s a mixture of single-family and condos to choose from. Floor plans for detached homes range from approximately 1,600 to 4,200 square feet, while condos offer around 1,300 square feet of living space. Cummings Cove Golf and Country Club is a large draw for the community as residents have full access to the clubhouse, 18-hole golf course, putting greens, plus, the club’s restaurant and lounge. The community’s sports complex is dedicated to helping residents stay fit and healthy with several ways to get a work out in with an exercise room, aerobics and dance studio, steam room, sauna, pool, and three tennis courts. Along with the sports complex, Cummings Cove also boasts a popular social center that’s the ideal place for neighbors to get together and mingle. Neighbors can also take part in the many community activities that are scheduled throughout the year and include an annual wine dinner, game nights, golf tournaments, and holiday parties. Rounding out the list of the best low-priced communities in the Asheville area is The Hills at Avery’s Creek community — a small, close-knit development with only 71 attached homes. Nestled in the town of Arden and surrounded by the tranquil scenery of Western North Carolina, the community is ideal for active adults looking for a gated, age-restricted neighborhood with affordable housing options and a peaceful natural setting. Homes feature open floor plans, lots of storage space, and low-maintenance exteriors. They can range from 900 to 1,367 square feet and have up to three bedrooms, two bathrooms, and an attached one-car garage. The community also features amenities like a community center, meeting room, and card tables. Outdoors, residents can enjoy the walking and biking trails that are spread throughout the property, as well as the scenic pond. Additionally, there are a number of organized clubs and interest groups for residents to join that range from dinner and travel clubs to card playing.